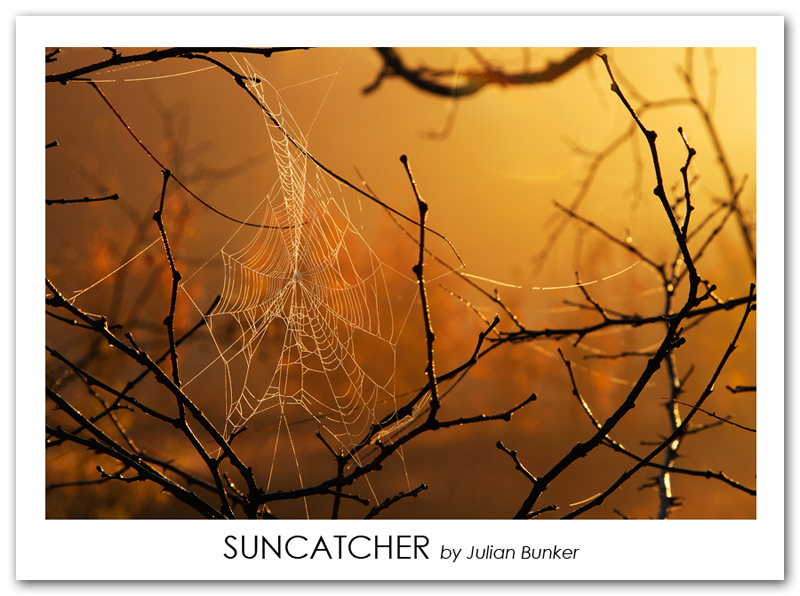 'Suncatcher' was one of those opportunities one can not pass by. The idea of a spider's web covered in dew droplets might seem cliche, however, I believe any old idea can be recreated. The morning fog created an atmosphere that was very dense, catching stunning amounts of warm light from the rising sun. shadows run rampant during this time, presenting an opportunity to place a very reflective masterpiece (spider's web) over an area that is considerably darker. This creates a stark contrast between the two, yet balances due to the similar hue each hold from the sun's warm light radiating through the fog. I hope everyone enjoys. Feedback of any type is always welcome. Canon 7D, Canon 24-105L (@85mm), Circular Polarizer Filter, ISO 100, F/8, 1/200th of a second.